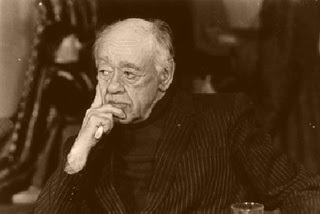 Eugène Ionesco (26 November 1909 – 28 March 1994) was a Romanian and French playwright and dramatist, and one of the foremost playwrights of the Theatre of the Absurd. This incident caused the shift of Ionesco's life, who up to deep old age, being famous and notorious, lived as a pious and deeply faithful Orthodox Christian. What do the words of the elder mean, that "If you really believe, then all corrects itself"? 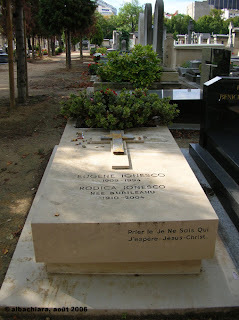 He wanted to show Ionesco that belief in God is not some abstract theory, or words full of hot air. Rather, faith in Christ means complete trust and obedience to a Person who is the Creator and my Savior at the same time. Therefore, faith in Christ is not only in words, but mainly works of conscious repentance and returning back to the will of Christ and the embrace of Christ, which is the Church. Αναρτήθηκε από ΝΕΚΡΟΣ ΓΙΑ ΤΟΝ ΚΟΣΜΟ στις 9:49 π.μ.